There’s nothing like taking that first sip of a perfect margarita. I was fortunate enough to find several perfect fiestas in a glass in San Miguel de Allende, so I will share where to find the best here. This margarita is huge and is the perfect antidote to a hot, sultry day in San Miguel. The sweet, tangy-sour of the margarita mixed with the chili-salt rim makes your mouth water and has you reaching for more guacamole as you sit back, content to do nothing but watch the world go by. I have to thank Susan York of Cupcakes and Crablegs for introducing me to this fantastic margarita (and for taking the beautiful featured image photo that introduced this post). It is hand-squeezed perfection; they get everything just right. And the setting at Hotel Sautto is the perfect paradise for drinking this margarita that will enchant you in such a way that you will be left thinking of it long after that last sip is gone. 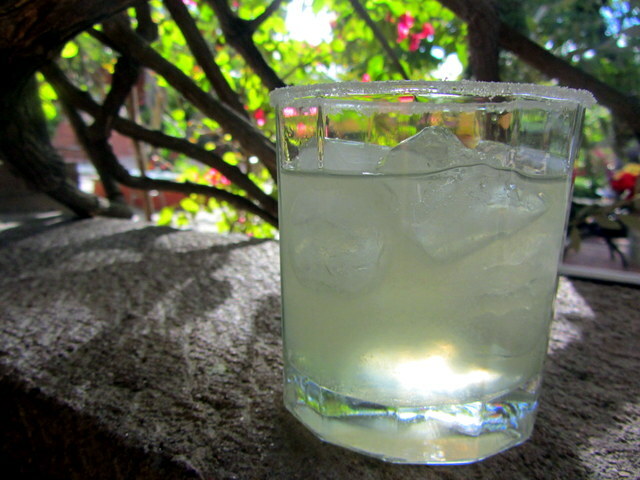 This is the margarita that I miss most in San Miguel de Allende. Words just can’t describe how this cocktail will change your view of what a good margarita is. This is the margarita that seduced me into staying for another and yet another. The homemade ginger syrup adds a spicy heat that caresses your throat as you hear yourself say the words, “Uno mas, por favor” over and over again. 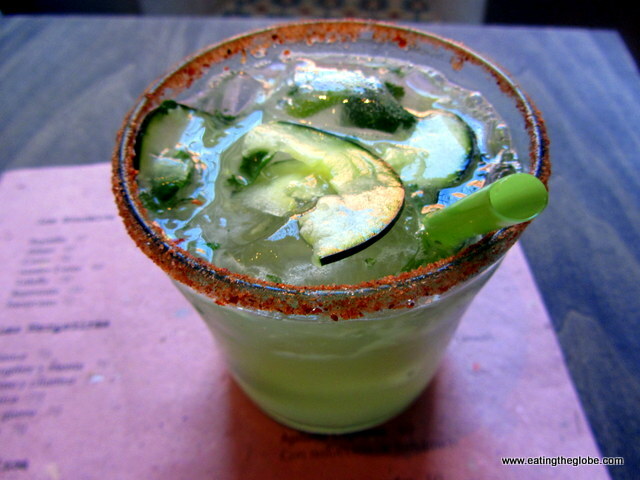 The smoky mezcal added the perfect balance to the freshness of the cucumber and the mint. Drinking this one makes you feel like the mañana you’ve been waiting for has finally arrived. 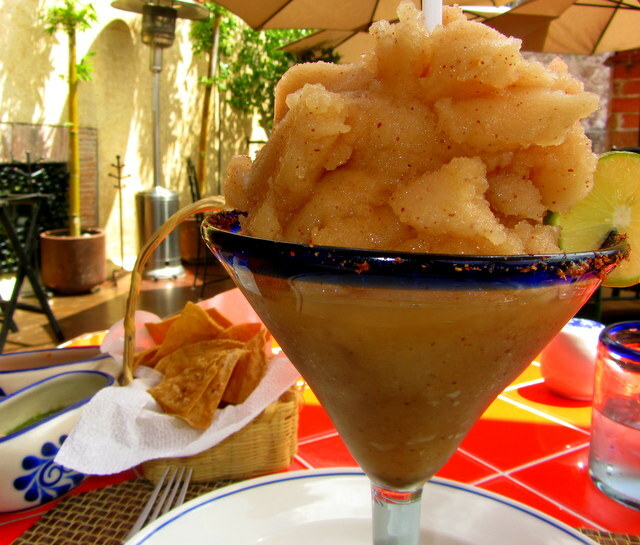 13 Responses to "4 Of The Best Margaritas In San Miguel de Allende, Mexico"
You nailed them! Great post. I’m gonna send this to my folks, they love them some Margaritas! Looks great Val! My mom shares her retirement between Chiang Mai and San Miguel – I’ll send her your blog so that she knows where to eat and drink. Lots of great tips. Frank recently posted…âOutside my Front Doorâ â Montreal, Quebec. So awesome!! After I am done touring Europe, I plan to relocate to Chiang Mai! I love, love, love margaritas and their main ingredient Tequila! Now, having them in SMA would be just about my favorite thing to do in the whole wide world! Add a little music and I will think I have died and gone to Heaven! Wow the Tamarind Margarita looks like a meal! I haven’t had a margarita in ages! They’re tough to find in Italy. That first one – the tamarind – looks amazing. You had us at tamarind margaritas. And ginger margaritas. San Miguel de Allende is such a fairytale town (we loved it on our visit to some of Mexico’s colonial towns recently) – with so many tempting restaurants (easy on the wallet too). Yes, I am so grateful for the time I spent living there!! 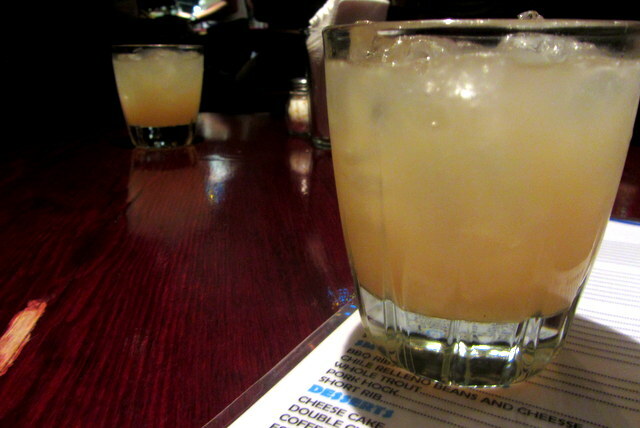 Yum…love those Ginger Margs at La Sirena Gorda. Haven’t tried the Cucumber Mint ones but I’m in SMA right now so it’s on the list of things to do!! Larissa @ Agave Villas Mexico recently posted…How Well Do You Know Puerto Vallarta? Ooh, yes! I’ve tried #3 and #4 and totally agree. Another one I’d add to the list is the classic margarita at El Rinconcito in Colonia San Antonio. Oh yes, the margarita at El Rinconcito is fantastic!! You’ve got great taste!